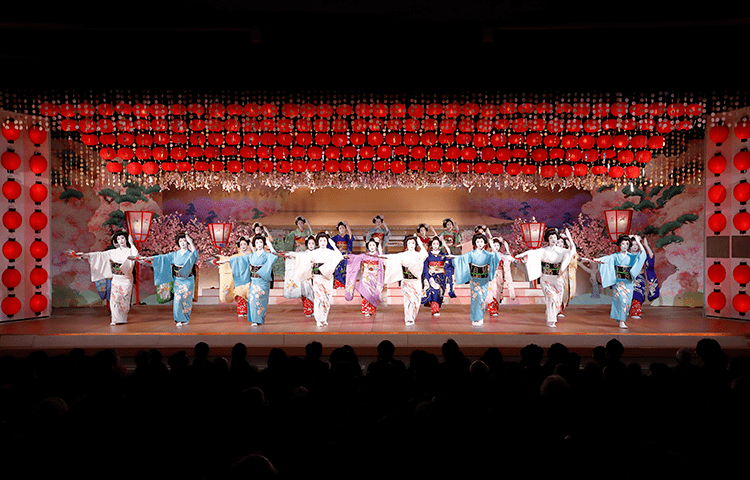 This is the final day of the 70th Kyo Odori. 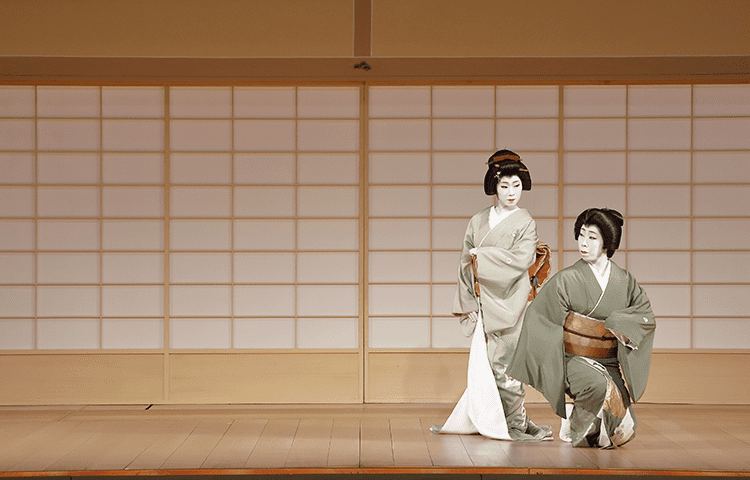 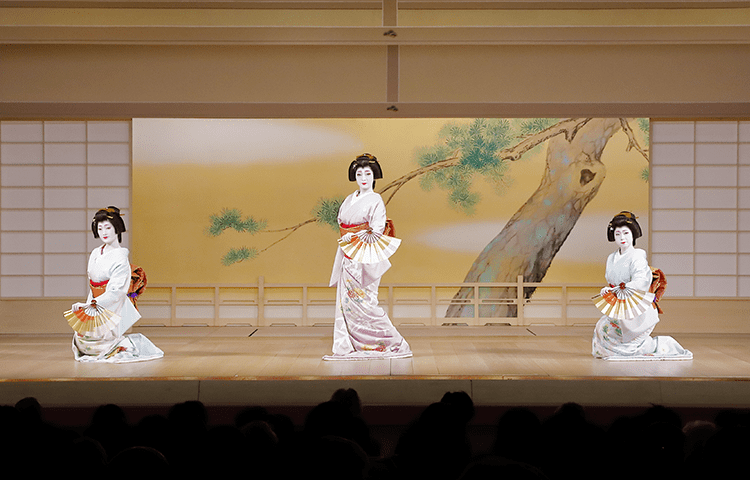 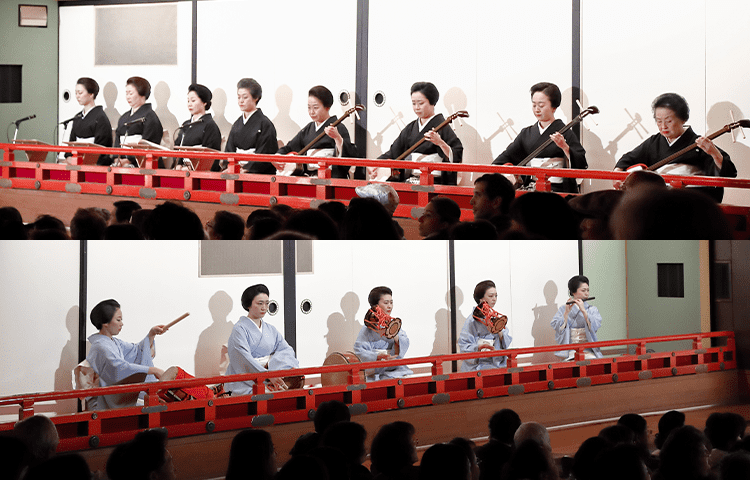 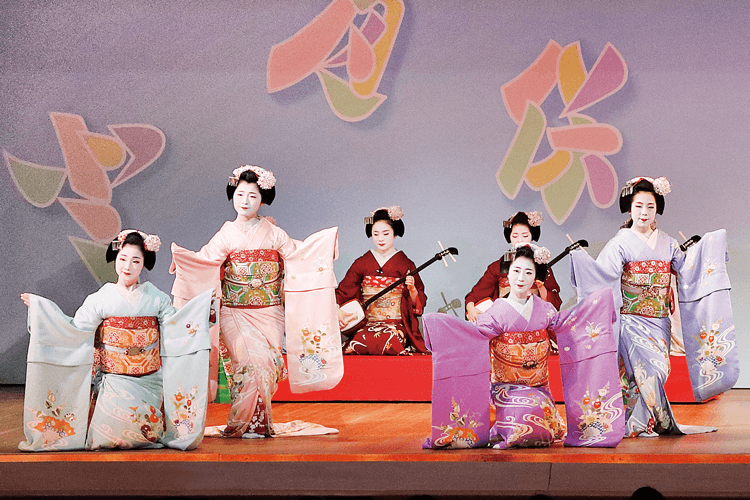 This performance of dance celebrating the arrival of spring began in 1950.After enjoying the program of different dances, the audience is treated to the Miyagawa Ondo dance,which is presented each year as the finale of the event and is performed by the entire company of female "geiko" and "maiko" dancers. 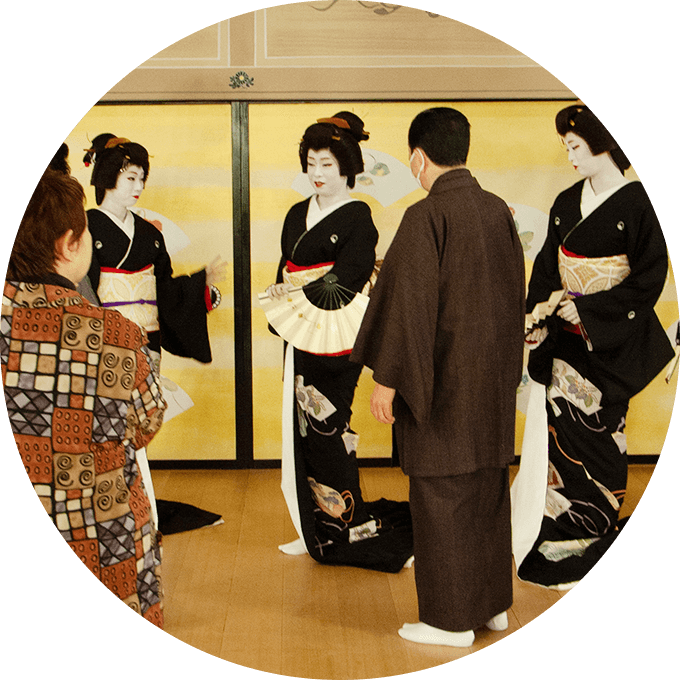 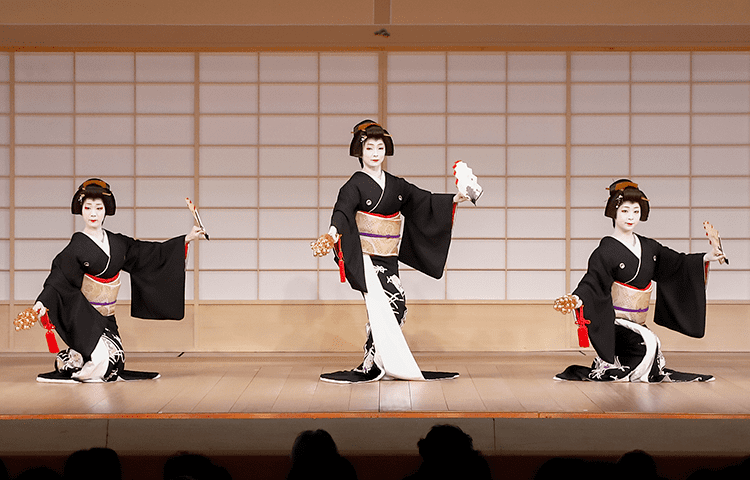 This group performance by all of the dancers clothed in gorgeous kimono,their sleeves almost brushing against each other,makes for a slendid spectacle. 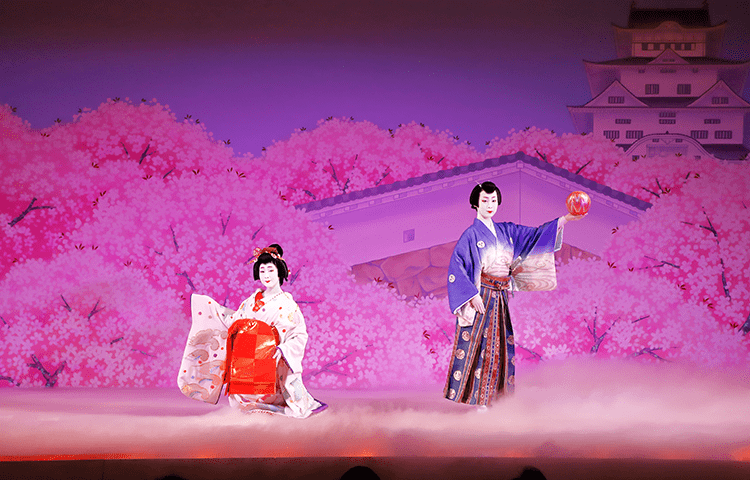 The entire event adds an enchanting accent to springtime in Kyoto. 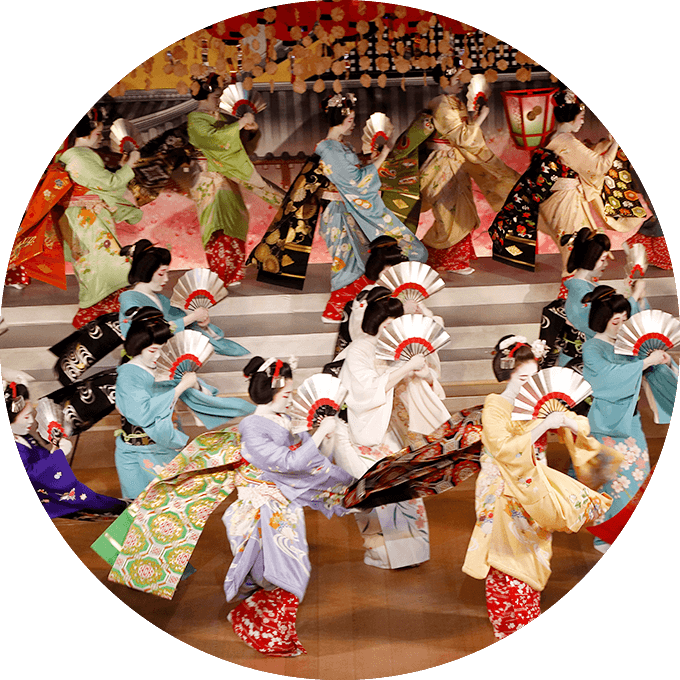 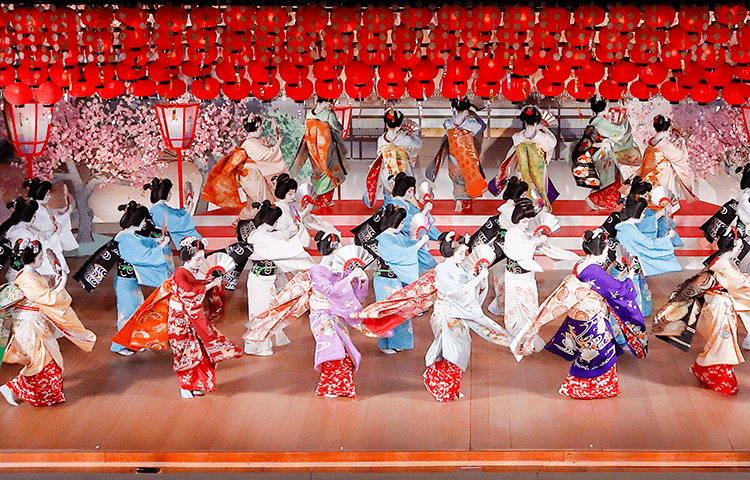 The first part of the dance is a dance drama based on Alice’s Adventures in Wonderland, a novel loved to this day by children worldwide, and incorporates the interesting features of Kyoto dolls, the kabuki dance. 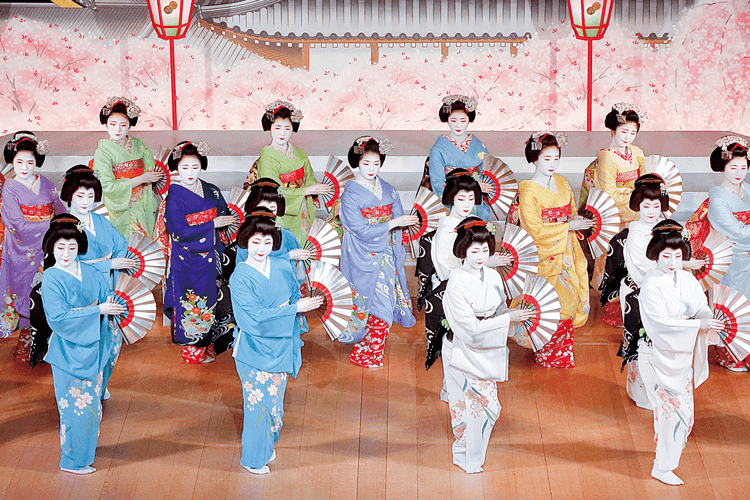 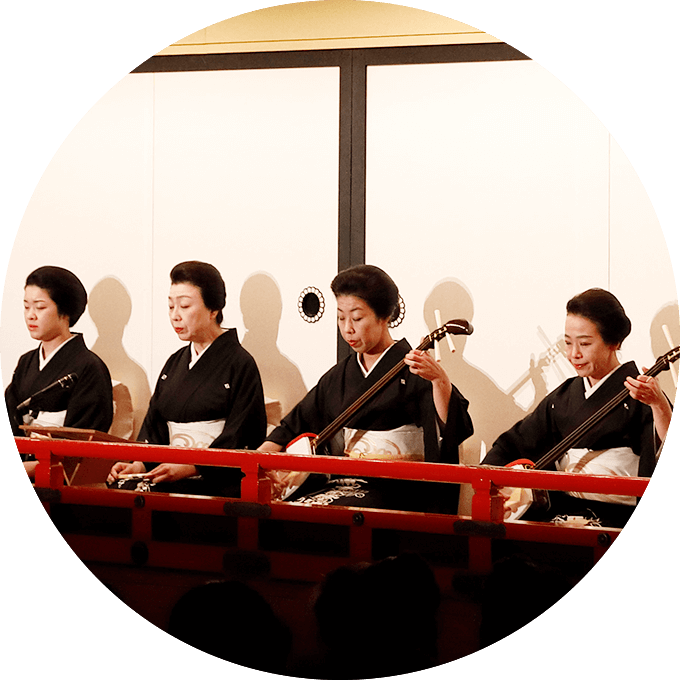 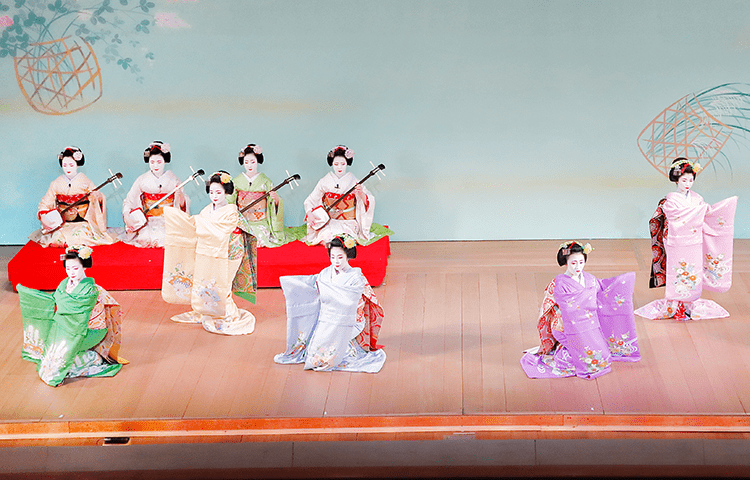 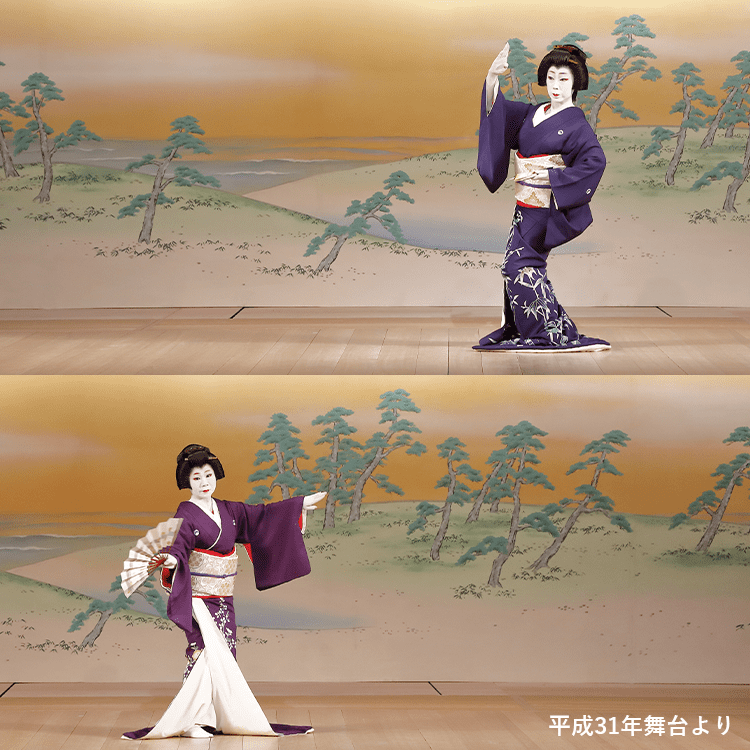 The second part commemorates the public announcement of the name of the new era on May 1 this year and features a splendid and dramatic dance characteristic of Kyo Odori.